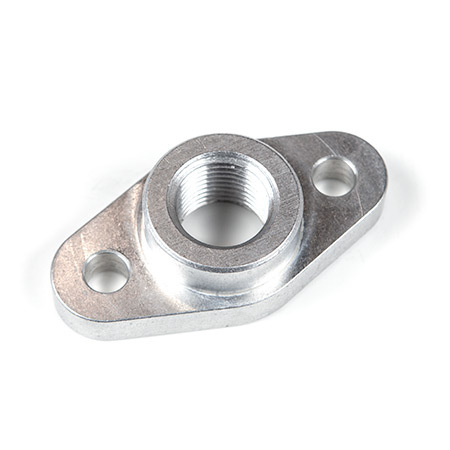 Oil return (oil drain) flange with 1/2" NPT thread port. Designed for large width drain flange models but same 2" bolt spacing as the Garrett T3 and T4 turbochargers. Made from billet T6061 aircraft aluminum.